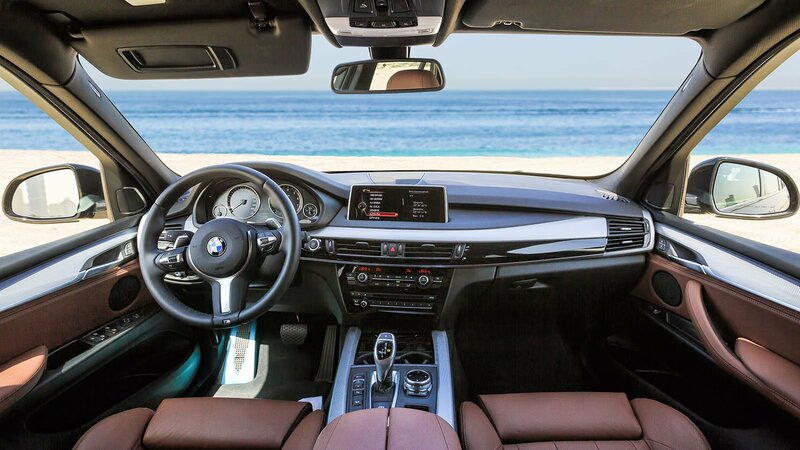 The famous German company has improved the BMW X5 , a fantastic mid-size luxury SUV moved to its third generation and ready to conquer your heart. This 4×4 is able to meet the highest demands by offering numerous intelligent technologies that bring a new level of efficiency, dynamics, comfort and versatility, even off the road. “The BMW X5 lets you go shopping in the city, but it also lets you pack your mountain bike in the boot and head out for the mountains.”said Adrian van Hooydonk, Senior Vice President of BMW Group Design. Its driving dynamic allows the perfect contact with the road, and gives you the highest comfort in any terrain and at any speed. The top of the range resides in the eight-cylinder petrol engine BMW TwinPower Turbo, with two parallel turbochargers, Valvetronic, Doppio Vanos and High Precision Injection. With its 330 KW it goes from 0 to 100 km/h in 4,9 sec. Thanks to the innovative processing of the Dirac-Dimensions signal, the Bang & Olufsen high-end surround sound system creates an open and vital space in which it generates extraordinary acoustics. There are 16 speakers with a power of 1,200 watts, including a central speaker with automatic extraction extensible from the dashboard. This speaker is a mid-range and is equipped with the Acoustic Lens technology, which ensures the highest quality sound for all seats. The multi-function instrument display with Black Panel technology and 10.25 “screen diagonal offers an optimal view of the driving experience. At the same time, it helps the driver to concentrate on the road and prevents distractions by displaying relevant information. The three different modes with specific characteristics, each with its own color scheme and graphic style, can be displayed on the instrument panel: Comfort mode, ECO PRO and Sport. The Comfort mode maintains in general the classic appearance, the blue shades dominate the ECO PRO mode screen, in which the new EfficientDynamics and Bonus Range screens help the driver to get the best possible driving style. The Sport mode, otherwise, is recognizable for red and includes a screen for speed, speed and gear engaged. The multifunctional instrument display also displays information on navigation, with suggestions from the route assistant, the phone book and the entertainment list.